L-Theanine (“Meditation in a Pill”) is a non-dietary amino acid found almost exclusively in black and green teas, and certain mushrooms. Found to boost cognitive function, improve focus, reduce social anxiety, and lower blood pressure. 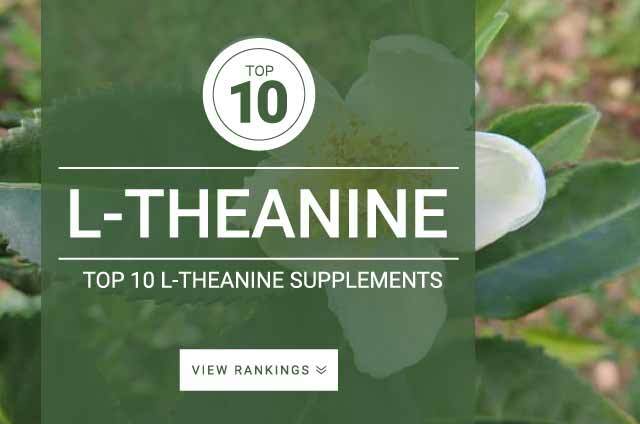 Onlinestrength analyzed 10 best-selling L-Theanine supplements in the United States, measuring levels of the key active ingredient theanine, as well as filler content such as preservatives, binders, and artificial ingredients. Suntheanine® is patented form of l-theanine that is self-funed by patent owners Taiyo Kagaku co. and has not been proven to be more effective than the standard formulation of theanine. Products that do contain suntheanine are considered to be of high quality because the theanine used is quality assured for over 99%. Samples of every Theanine supplement passed all ingredient quality assays. Products that contain presence of watchlist ingredients, such as preservatives, binders, or fillers were penalized. Products that contained extra ingredients were also penalized due to limited research on l-theanines effects in conjunction with other supplements which may deem those ingredients unnecessary and useless. L-Theanine is a non-essential amino acid that is only present in tea plants (Camellia sinensis) and a few species of mushrooms. Research shows that L-theanine crosses the blood-brain barrier easily using the large neutral amino acid transport system. Once reaching the brain, Theanine, has been shown to boost serotonin and dopamine production. Increases in dopamine and serotonin produce feelings of well being, cognitive improvements, relaxation, reduced anxiety, and increased attention span. L-theanine is nicknamed ‘Mediation in a pill’ for having similar effects on the brain as meditation. Tibetan Monks often drink green tea for the l-theanine to improve focus, attention span, and calming effects. Studies show that theanine increases alpha-brain wave activity, a sign of increased relaxation, focus, and calmness. L-theanine may counteract the simulatory effects of caffeine, boosting focus and concentration and eliminating mental and physical crashes. Artists and individuals who need a high level of concentration often pair theanine with caffeine for improvements in cognition and attention. Supports relaxation without making you feel drowsy or sleepy. Improves cognitive focus and creativity when combined with caffeine. Helps reduce the side-effects that may occur when taking caffeine such as anxiety, jitters, and restlessness. Standard Dose: 100 – 200mg 2-3 times daily for anti-anxiety, cognitive improvements, focus, stress-relief, relaxation, and increased alpha brain waves. Dosage for cancer the dose is speculative as no human studies have been performed as of what. Dosages up to 400-800mg three times daily can be used safely.